For more than 20 years, we have accompanied our customers not only as a solution provider of web-based applications, but also as a consultant to answer technological questions. Together with you, we draft strategies and concepts that offer the requisite investment security for many years – even in the face of the rapid pace of continuous technological development. To this end, we cooperate closely with the IT departments of our customers. If required, we can make arrangements with suitable service partners and take care of communications for transactions. We are the first point of contact for all questions, wishes and needs of our contact partners. In the last few years, the corporate reservations against using "open-source" software have perceptibly dwindled. Open-source software has long since already proved its performance capabilities, future compatibility and worth as a secure investment at the enterprise level: whether as an operating system for servers, as a database or as a framework in web development. By far the greatest majority of our solutions are based on utilization of open-source systems, such as TYPO3 or Drupal. We are aware of this and therefore we appropriately support the TYPO3 Association as a Silver Member and we are a Drupal Association Organization Member. We host User Group meetings, are part of the developer community and do our part at "code sprints". For many years, we have developed solutions and applications based on .NET frameworks for Microsoft-based environments. Starting with the release of Version 2007, SharePoint is now also counted as a permanent component of our solution portfolio. It is due to this that we are a Microsoft Silver Partner. Since Microsoft under new CEO Nadella has proven to be somewhat softer than in the past, new possibilities have opened up to integrate solutions such as SharePoint with other web technologies and frameworks in modern collaboration platforms. 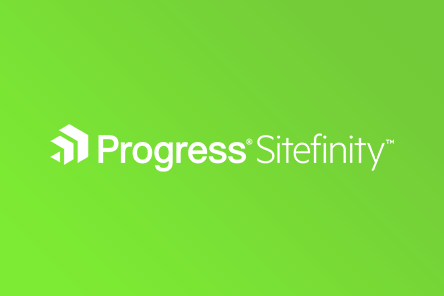 With Sitefinity, Microsoft-based web environments now have an up-to-date and powerful content management system that, taken by itself alone, already possesses an enormous scope of functionality. Furthermore, it simultaneously delivers the so-called »connectors« for systems such as Dynamics, Marketo, Salesforce and SharePoint, the use of which will considerably simplify the construction of modern web platforms and marketing automation solutions. Within the context of service performances for our customers, we normally check and ensure that their applications run correctly. On the one hand, this includes the aspect of hosting, the server administration as well as the service performances at the application level. Moreover, as an information technology service provider, we can also take on more responsibility for provision of services for our customers (security, patch management, remote backup, third level support, ...). During the networking of business and production processes, it is indispensable to have a high-performance and secure solution for data storage. In this regard, conventional services such as Dropbox, OneDrive or GoogleDrive offer a great deal of convenience at low cost. However, companies are not protected from undesired data transfer. 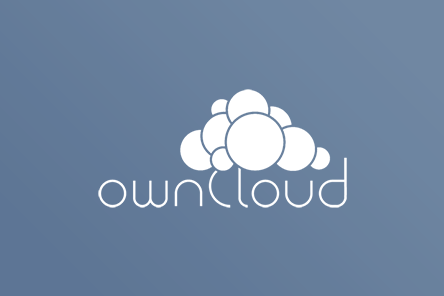 As a secure alternative to the other respective cloud solutions being offered, we can recommend ownCloud: The installation on a server privately managed by the company itself guarantees against loss of data control.